Hip Hip Hurray…we are launching in the USA today! 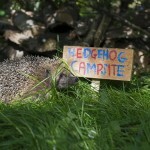 Build a Hedgehog a home! Win an Ultimate Big Wild Sleepout Kit!